If you are shopping for the latest home kit for Spanish La Liga team FC Barcelona, then you are in the right place. Here we stock the latest Barcelona home kit in kids and adult sizes. Whether you are simply looking for the Barca home shirt or the full strip including shorts and socks we have got everything you need right here. We are supplied by Nike and you are shopping for the official Barca home kit. But hurry and place your order today, the team’s success and popularity make this one of the must have football kits so grab yours while stock lasts. 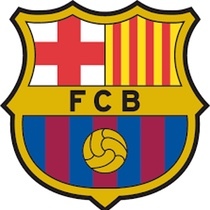 Barcelona football club is one of the most successful clubs in world soccer and has some of the best and most popular players on its team sheet, this fact means that around the globe the Barcelona home kit is recognisable to fans and non-fans alike. The iconic red and blue colour scheme was introduced in 1900 and has remained a consistent feature ever since. As a general rule the Barcelona home shirt features alternating red and blue vertical stripes, these change width and placement giving each seasons jersey a new and vibrant look. The 2015/16 Barca home shirt offered a radical redesign by Nike and featured horizontal stripes. The Barcelona home shorts are usually a solid colour often blue, but sometimes red. The accompanying Barcelona home socks are more often than not blue featuring red or yellow detail. Below we list a few of our favourite Barcelona home jerseys from previous seasons, why not find us on social media and upload pictures or send us a message telling us which edition of the Barca home football shirt is your favourite. 1999/00 – half and half red and blue commemorative design with the FCB crest and Nike logo in the centre along with 1899-1999 embroidery. Here at Soccer Box we are supplied directly by Nike, meaning that we can offer you several variations on the latest Barca home football shirt. The Barcelona vapor / authentic home shirt is priced at a higher level and is an exact replica of the football shirt you will see the Barca squad wearing at home fixtures. The vapor shirts include more advanced fabric technology for improved performance on the pitch and are designed to meet the higher kit specification required by elite professional footballers. The Barcelona vapor home shirt is available to purchase in adult sizes only. The other option available is the classic stadium jersey, named in our online store simply as the Barcelona home shirt. 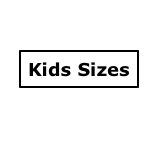 This option is available in both junior and adult sizes. These shirts are produced by Nike and have the same overall look as the authentic player jerseys. The difference is in the fabric technology, you will still get Nike signature Dri-Fit performance and fit. For a more thorough explanation of the differences between the Vapor and stadium jerseys take a look at our blog. Alongside the home shirts you can also purchase the Barcelona home shorts and football socks in both kids and adult sizes. We also stock the little boys and baby kits that include the jersey, shorts and socks for one great value price. You may also be interested in ordering the Barcelona away kit that we also stock and which, makes a fantastic additional purchase for dedicated supporters. We also have limited stock available of the Barcelona home goalkeeper kit. The goalie kit is one of the most popular options for FC Barca, particularly in kids sizes so if this is the strip you want ensure to order yours quickly to avoid disappointment. For every soccer club the iconic home of the team is their football stadium. Since their inception FC Barcelona has had three home grounds. Camp de la Indústria was the team’s first stadium, which held only 6,000 supporters. The club soon outgrew this ground and invested in building a new one. Camp de Les Corts initially opened with a capacity of 20,000, over the years this was expanded upon until the stadium held 60,000 Barcelona home shirt clad supporters. With no further room for expansion, and a run of success in the late 1940’s FC Barca began making ambitious plans for a new stadium. Camp Nou was completed in 1957 and has been the home of Barcelona football club ever since. To date the stadium holds 99,354 all-seated supporters, this makes Camp Nou the largest football ground in Europe and the third largest in the world, an impressive feat for a stadium that was conceptualised over sixty years ago. When you order a Barcelona home jersey from us you also have the option of adding a name and number for a small additional fee. We use official lettering and your shirt will be printed to order by our fully trained printing technicians. You can add your favourite Barca players name and squad number or choose your own name for that extra personal touch. Why not also pick up some extras to wear alongside your Barca home kit to further highlight your team allegiance. The Barcelona tracksuits are a popular choice, or you could pick up a backpack, soccer ball or baseball cap. As a licensed Nike stockist you can be guaranteed of receiving genuine Barcelona home kit when you order from us. We offer fast worldwide delivery options to suit all requirements and budgets. Why not also sign up to our newsletter to receive the latest information on Barcelona home strip launches, as well as special offers, discount codes and more.